Long lens lines are chill. Though with our multi-decade dependence on fisheyes, they come few and far between. It’s tough to think of one from a classic video short of Ricky Oyola’s ollie into traffic line from Eastern Exposure 2, which certainly would’ve had its impact dulled a bit if the filmer ran up on the ledge to follow him or something. Much like Vine, you probably had to have attended film school in order to be good at filming lines without a fisheye. Framing, zooming, it’s a whole process. P.S. 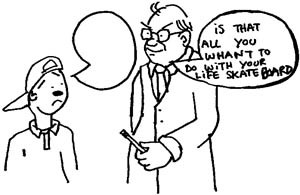 Is there a scan of that Skateboarder “Greatest Lines in Skate History” article from the mid-2000s online anywhere? his nollie crook down that remains one of the gnarliest things Ive ever seen. this dude deserves more cred. Can’t forget this one, pj ladd plan b teaser. 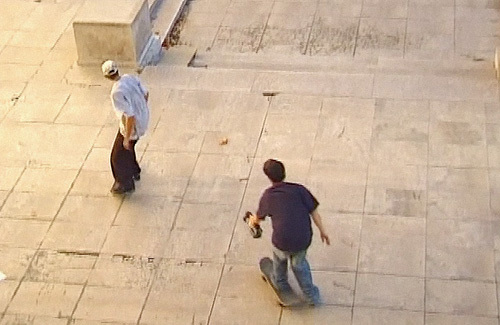 tom penny’s part in menikmati, right after the narrator fades out and the part actually starts, begins with a nice long shot of a short line with two big stairs. You’re right about the PJ line. Completely spaced on that; it’s probably my favorite skate clip from this year. Also puts into context how absolutely insane skate spots in China are. How about the philadelphia 411 Metrospective line with Ricky Oyola self commentating his line at city hall – epic!